Unique to Hypnobabies: 16 powerful, deep hypnosis audio tracks for use by our Hypno-Mothers as they learn, practice and use their Hypnobabies program. We also include 1 hypnosis track for our Birth Partners so that they can easily become calm and relaxed about pregnancy and childbirth. Unique to Hypnobabies: Since the background music in all of our Hypnobabies hypnosis audio tracks becomes a part of the hypnotic induction process, it contains “binaural beats”. This process allows the brain waves to synchronize (brain wave entrainment) which provides our Hypno-mom and Birth Partners to enter hypnosis faster and attain a deeper state of hypnosis called “somnambulism”, where Hypno-anesthesia is more easily created and accessed. This is a very important unique feature of Hypnobabies since our expectant and birthing Hypnobabies moms can enter hypnosis instantly and become physically comfortable and emotionally confident as soon as the music begins! Unique to Hypnobabies: 5 somnambulistic hypnosis scripts in booklet form, for use by our Hypno-Couples to work with as a team. Our Hypnobabies students participate in one new hypnosis script each week in class and their hypnosis scripts booklet provides them with that same script to work with for reinforcementduring the next week. This makes a huge difference when training the inner mind for success of any kind. It is called “compounding” in the world of hypnosis and is necessary for hypnotic suggestions to be retained by the woman’s subconscious. Working on progressively more powerful scripts several times week together also allows our moms to become “hypno-trained” to the touch and voice of their birth partner and therefore respond much more easily and quickly to birthing cues during labor. Hypnobabies’ Complete Childbirth Education includes the following: Staying healthy and low risk Comfort in Pregnancy Detailed Birthing Choices Creating Informed Consent An in-depth Nutrition and Exercise program Avoidance of Toxic Substances Optimum Fetal Positioning Turning a Posterior Baby Stages of Labor Anatomy and Physiology of Birth Prenatal Parenting Avoiding Back Labor with the Abdominal Lift and Tuck Baby Kick Counting Belly Mapping The Risks, Benefits and Alternatives to Common Labor Interventions Birth Empowerment Skills Birth Plans & Baby Plans Touring the Birth Facility Doula and Midwifery information Avoiding Induction and Cesarean Section Delayed Cord Clamping and other Baby Kindness information Using hypnosis for 1st, 2nd and 3rd stage Comprehensive and detailed birth preparation and labor support training for Birth Partners A Quick Reference booklet for “instantly available Hypnobabies information” during labor Birthing Rehearsals using Hypnobabies techniques in class. Information on New Baby Care, Breastfeeding and Postpartum care for our moms. Unique to Hypnobabies: Hypnobabies’ “Eyes Open Childbirth Hypnosis”, which allows each Hypno-mom to walk and talk and move around freely yet remain deeply in hypnosis, very relaxed, fully present, aware and in touch with her body and baby and *comfortable while doing so*. Other programs rely on immobility for focus and concentration, which can severely impede the progress of labor and the descent and positioning of the baby. 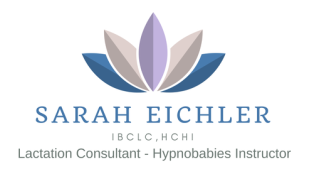 Please see our Hypnobabies Course Outline for more information on the subjects we teach in Hypnobabies Classes. For self-study options, please visit our Hypnobabies Self-Study page for more information on our “Home Study Course for Expectant Mothers”.